The vision for the Center for Neurodysfunction and Inflammation (CNI) under the umbrella of the Brain Health Center is to promote a climate of integration for basic, translational, and clinical activities across campus related to neurological, neuropsychiatric, and neurodevelopmental disorders with neuro-immune or inflammatory components. 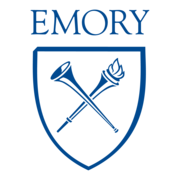 The symposium will also include short talks by Emory faculty and poster presentations where attendees can network and interact directly with other investigators who are advancing the study of neuro-immune interactions and brain inflammation. To submit a poster abstract see below. The symposium is free and open to all including faculty, staff, trainees, and all other interested members of the community.